There is often more than one way to get a job done, and adjusting the weight tension for towing a trailer is no different. 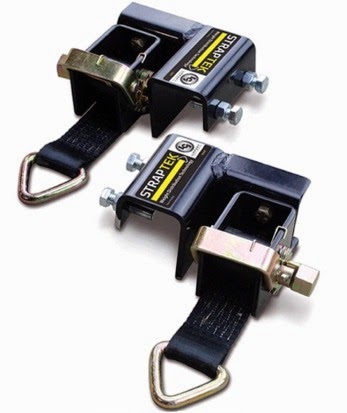 The Mobile Outfitters Straptek Kit offers an easier way to adjust the weight distribution for trailers and other towed vehicles. The standard way has typically been through the use of chains and snap-up brackets, but the Straptek uses durable polyester straps and a ratchet winch to do the job. Using this system comes with many benefits, including ease of use and an increase in safety. Weight tension can be set using just a simple socket wrench. Added to that is the fact that the trailer does not need to be lifted and lowered in order to use the Straptek. With conventional set ups, spring bars can store the built-up tension and once released can cause potential injury. Using the Straptek system makes things safer for you and takes less time by being able to adjust the spring bars without lifting. Another advantage to using Straptek is that it is able to provide better sway control than a chain and bracket system. Chains often leave several inches of extra length, which can cause problems if there is no other sway control device in use. The Straptek reduces the length between the assembly and the spring bar, so there is greater control while on the road. It also keeps things quieter, eliminating the noise chains can cause. It works with most kinds of weight distribution systems and includes 2 Straptek assemblies and attachment bolts, as well as the straps to go with them. Top section of EZ Zipblocker installed. The Carefree EZ Zipblocker is a product I have been waiting for ever since I saw A & E awnings version back in 2007. The A & E version was a great concept with it's motor driven integration in the awning roller tube, but I don't see they offer this anymore, so there may have been problems with it's durability. Even so, this new sun shade for your awning is a great product that most all RV'ers can install and enjoy. The Carefree of Colorado EZ Zipblocker is a mesh screen that is inserted into your awnings roller tube to block up to 85% of light. Depending on how your parked, you maybe getting blasted by the sun low in the horizon in the morning or evening when your awning just can't provide shade. With the EZ Zipblocker in place, you now get much better shade coverage from your awning keeping you cool and comfortable without blocking your view. The top zipper section of the screen is inserted into the open slot on most any awning roller tube and stays installed even when your roll your awning up for storage. This allows you to reach the zipper section without a ladder when you set up again and simply zip the body panel into place. The black mesh fabric is constructed of woven 100% polyester with a durable vinyl coating and features grommets in the body section to allow for tie downs. Here is the beauty of this sun screen. That zippered section that is installed in the open slot of your awning remains there even when you close the awning. So no more installation and removal of a long sun screen that usually needs the help of another person. Depending on which model you purchase you may only need a foot or two of protection and thus never zip the body screen section in place. But if you need full sun protection it's easily zipped on to the top section in just a matter of seconds without the need of a ladder. So I got a few days to play around with the EZ Zipblocker and I love it! We put it up on a sunny morning and immediately felt the benefits of additional sun protection under the awning. I generally never stake my awning down and rely on the wind sensor to bring the awning in when winds get to high. For this reason I purchased the 9' drop which gives me a 3' section of Zipblocker that remains installed in the awning. This is probably the only section I will use in the majority of cases since it provided a lot of sun coverage than with the awning by itself. Another great benefit of this two piece system is that it is very easy to install by just one person. With the two sections apart, each one is very light and easy to manage. It comes in a nice fabric carrying case and includes stakes to tie it down if so desired. We had a decent breeze through out the day and the top section just floated back and forth (see photo above) and I don't see it being an issue even in higher winds. Carefree of Colorado hit a home run with this great awning accessory by making it easy to use and compatible with most all awnings. If you have questions or comments, please leave us a note here or contact us and we will be happy to help. Just like any other part of your RV, the rubber roof needs to be maintained and kept clean as well. It is not something that needs to be done particularly often, unless your RV is in an area where it is prone to dirt or tough stains. 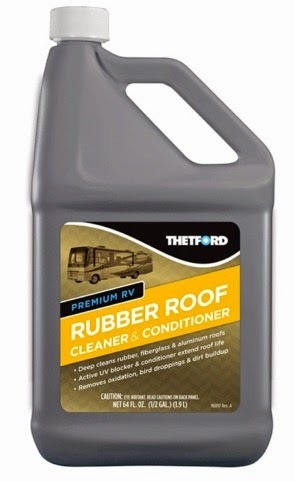 Using a combination cleaner and conditioner such as the one from Thetford makes keeping your RV's roof looking like new much easier by merging two steps into one. The cleaner will help get rid of stains and dirt, while the conditioner will help the roof stay protected in the future. Thetford's Rubber Roof Cleaner and Conditioner works not only with rubber, but with fiberglass or aluminum rooftops as well. It works well on hard to clean stains, such as those from leaves and mildew. The conditioner includes UV protection, so potential damage from the sun's harmful rays is prevented. Because the formula is biodegradable, it is easier on the environment. It will not cause the rubber to crack or swell up, as it does not contain any petroleum. According to Thetford, it is recommended that the roof be cleaned at least at the start and end of the season as part of an overall RV cleaning. If you are cleaning more than one section of the RV, it is best to start with the roof and work your way down. This way you don't risk getting dirt on a section that has already been cleaned. Keep in mind the safety factor when roof cleaning, so as to avoid injury. Different cleaning accessories to assist in application, such as brushes and buckets, are also available. When you are parking your RV for an extended period, the last thing you want to worry about is having the tires shift unexpectedly for some reason, causing a problem. You want to make sure the tires will stay in one place, despite whatever they may be subjected to. This can be especially helpful when there is a lot of movement going on inside the RV. One way to prevent this is by using a wheel stop such as the one from Eaz-Lift. This locking wheel stop will prevent the wheels from moving around by providing the tension needed to keep them in place. 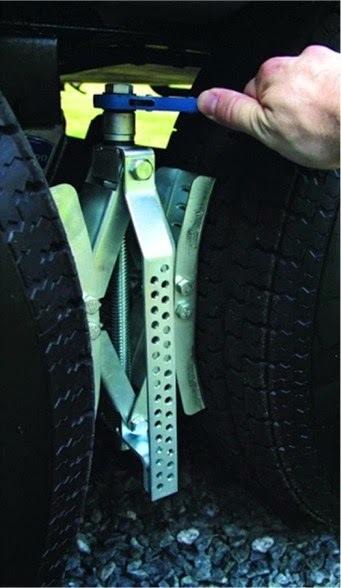 This increases the overall stability of your RV when it is not in motion. The wheel stop creates a strong grip on each side, and can be locked in position to help hold it in place. There is no need to worry about the wheel stop being exposed, as the metal surface stays resistant against the elements. The curved sides can fit in between tires that are as close as 3 inches or as far as 10 inches apart. Simple to use, the wheel stop can be adjusted to the right width using the included wrench. Because the sides are curved, they can maintain reliable contact with the tires, preventing the wheel stop from slipping out of place. When collapsed down, it is easy to store due to its compact dimensions. The Eaz-Lift locking wheel stop will add to the safety of your RV and make it less susceptible to movement. 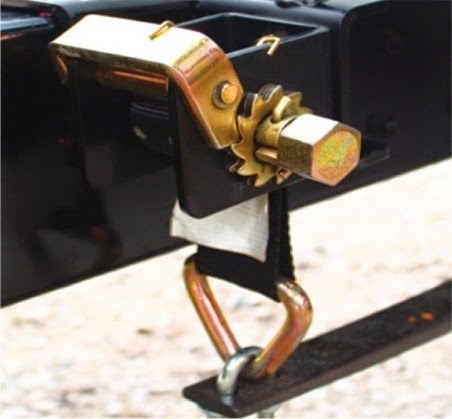 When you are out camping, especially at a new campground that you haven't been to before, you want to be sure things are safe when you go to hook up your RV to a power pedestal. Electrical protection is crucial to avoiding potential accidents and problems, some of which can be severe if the proper precautions aren't taken. This blog has discussed the general benefits of RV surge protection before, because it is so important. Today I will be discussing the details of one protection product in particular, the Camco Power Defender Voltage Protector Monitor. This voltage monitor can detect when incorrect voltage occurs and take appropriate action to protect you and your equipment from the problem. When the voltage goes beyond the safe range, power to the RV is disabled, returning once voltage falls back within safer levels. There is a delayed response when power returns, so as not to cause a sudden power surge for your electrical devices. Easy to use, it features hand grips on each end, making it easier to ensure that complete connections are made. They also help when it comes time to remove the device. 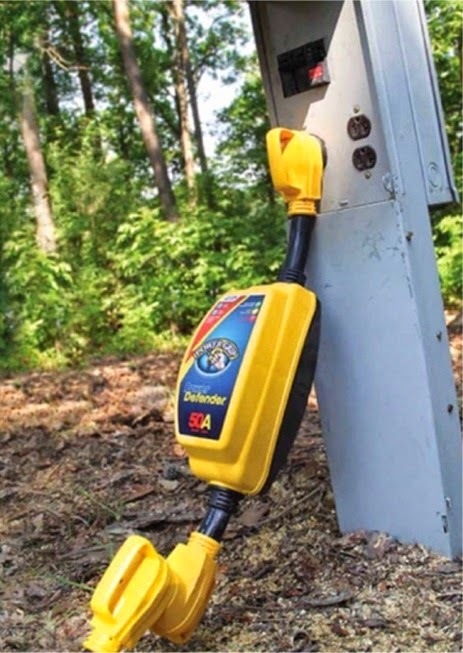 Whether you own a 30 Amp or 50 Amp RV, the Camco Power Defender can keep things safer for you and anyone who may be traveling with you. It will help protect your equipment from damage, not only from high voltages, but also from reverse polarity. 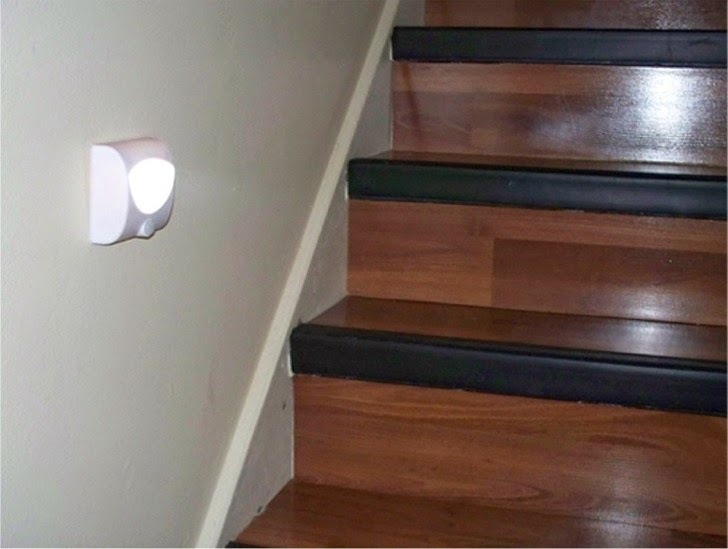 When it is initially plugged in to the power pedestal, the LED indicators on the device can inform you of the problem that is detected. Pedestals without power can also be detected by this voltage monitor. The CURT two piece basket cargo carrier features a steel construction with a black powder coating that makes it resistant to corrosion and more durable against outside elements. It features an angled shank that will keep the platform elevated, making it easier to load and providing greater ground clearance. Raised side rails and multiple tie-down points allow you to haul your luggage or equipment more securely. The 500 lb weight capacity and wide 60" x 20" dimensions create space for many different types of cargo. When determining how much weight the CURT cargo carrier can handle, its important to keep in mind the distance the carrier is sitting from the vehicle. For example, a carrier with a 600 lb tongue weight that sits 2 feet out from the vehicle can safely carry 300 lbs. 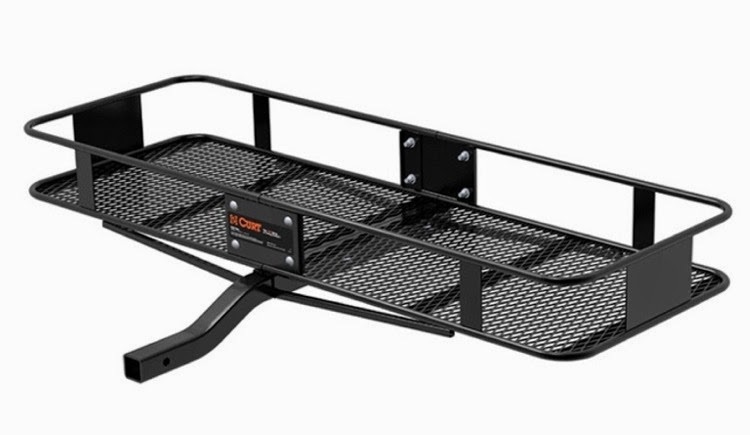 Using a hitch mounted cargo carrier like the CURT two piece carrier, as opposed to a roof mounted carrier, promotes greater fuel efficiency as it does not affect your vehicle's aerodynamics. Your luggage or equipment also stays in better reach and is easier to get to. Its also good to make sure that your cargo is being transported securely so it will not come loose or get lost while on the road. Having versatile entertainment devices while you are away from home is always a plus. Making sure everyone is being kept entertained can help during long road trips, especially when you bring children with you. Being able to keep everyone occupied can make a big difference between having a relaxing trip or a frustrating one. The last thing you want is to return more flustered than when you left. The Jensen DVD/CD Bluetooth Stereo is one such device that provides a wide range of choices for electronic entertainment. If a distraction is needed, there will be several available alternatives to provide it. This Bluetooth stereo is compatible with CDs and DVDs, including recordable CDs & DVDs which do not always work in all players. It can be hooked up to external devices, such as MP3 players, when you wish to make use of your own music library. The Bluetooth function takes things one step further. It allows the stereo to connect to any audio device that has Bluetooth capabilities, such as smartphones or tablets. 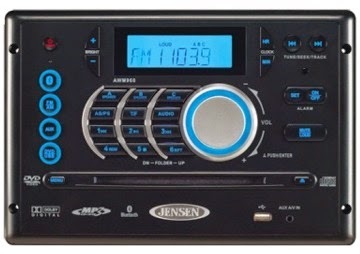 The Jensen stereo can also function as a basic radio, storing up to 30 presets. Due to the extensive testing conducted on Jensen products, the stereo can be subjected to different traveling conditions, such as vibration and temperature extremes. This includes not only the temperature while the equipment is in use, but also during long periods of storage. 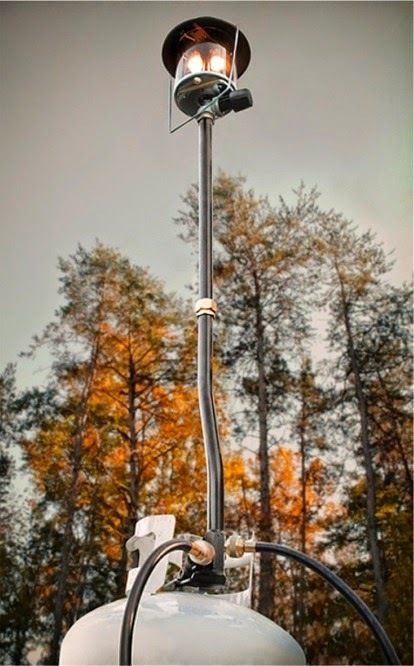 The vibration tests ensure that it will still be able to function while traveling on uneven or rough roads. The Jensen DVD/CD Bluetooth Stereo keeps you from having to limit your options while traveling. Having the right fresh water products available while camping in your RV can make all the difference, especially when your on a summer trip. Before heading out on your next adventure, check out these RV fresh water supplies and accessories. Camco 44763 Supreme Starter Kit Bucket: If this is your first trip in your new RV, you won't want to forget this essential necessity kit. Camco is one of the most trusted names in RV accessories and supplies, so you know they have packed this bucket kit with everything you need on your first trip out. The Camco kit contains: HTS 10' sewer hose with pre-attached fitting, 3-pack of TST Orange Power Drop-INS holding tank treatment, 25' drinking water safe hose, 15 amp male to 30 amp female electrical adapter, 32 oz. RV Wash and Wax with sponge and 4-roll pack of 1-ply toilet tissue. Water Filters & Replacement Cartridges: These cartridges are designed to work with your current RV water filtration system. They are designed to filter out harmful bacteria and chemicals; thus supplying you with fresh, clean drinking water sans harmful contaminants. CR Spotless DIC-10A Medium Capacity De-Ionizer With Cart: Calcium deposits and other minerals can cause you to lose water pressure, discolor showers and toilets, damage your faucets, and cause water to have an off taste and smell. A de-ionizing system will reduce mineral deposits in your water system; consistently supplying you with clean, delicious tasting water. Phoenix 917CL Clear Airfusion RV Handheld Shower Kit: After a long day out on the trail, there is nothing like a warm shower to get ready for the evening campfire session. This revolutionary shower kit will provide you with a high pressure shower, while conserving your water supply by 20-30%. 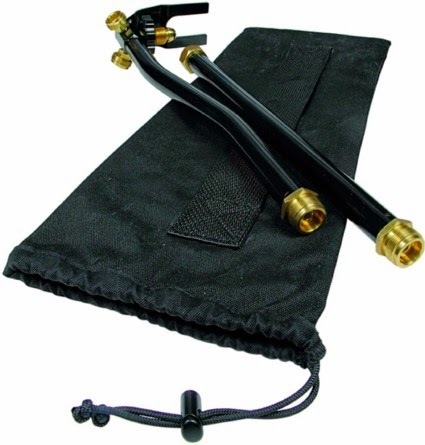 In addition, this kit features a trickle shut off, for increased water supply conservation. Your RV is full of electrical accessories and vital components that make camping and traveling a whole lot easier. Even though these accessories can be great additions to your rig, they can sometimes put a strain on your batteries. Worry isn't part of the fun when out on the road, that's why Batteryminder has developed some innovative battery power monitoring and charging devices specifically designed to give you peace of mind when traveling. BatteryMinder 2012 12 Volt 2 Amp Battery Charger, Maintainer, Desulfator, Conditioner: This plug and play device is easy to install and designed to work with any 12v Lead-Acid Battery. The unit is built tough; the rugged exterior is weather proof and water resistant for enhanced reliability. The intricately designed microprocessor will maintain battery charge without overcharging. The diagnostic LED display is simple to read and will alert you when the battery is low, is polarity is reversed, if cells are in good condition, and much more. BatteryMINDer SCC05 Solar Controller 12 Volt With 5 Watt Panel: This unit is impressive; allowing you to use solar power to recharge and maintain your batteries. The panel is weather durable and versatile; with the ability to charge AGM, sealed gel, marine, maintenance free, dry, and valve regulated batteries. The smart technology allows the panel to safely maintain and charge without ever having to worry about overcharging; supplying the exact voltage needed for optimum battery performance. BatteryMINDer OBD-12V OnBoard Battery Restorer-Conditioner 12-Volt: This on board battery conditioning system works flawlessly without ever having to be hooked up to a 120v power source. 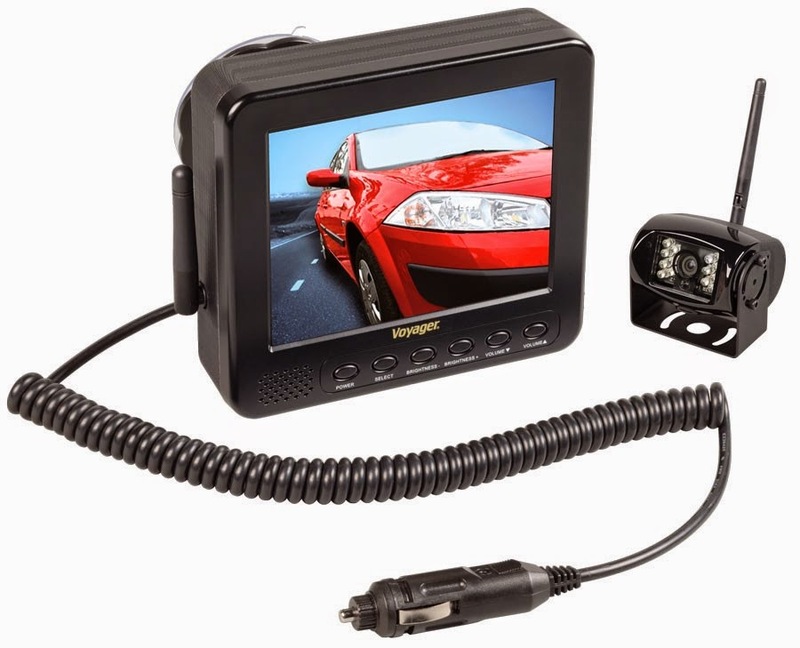 It can easily work in conjunction with your AUX battery charger and maintainer through its plug and play port. Having the ability to desulfate up to six batteries at once, multi-battery use vehicles especially benefit from this unit. Patented RFP technology allows this unit to dissolve both established and new sulfate deposits significantly increasing your RV battery life. While on an RV camping trip, there are several different appliances that make use of propane. Many times you may wish to use more than one at the same time. For example, you may want to use a propane grill while also wanting to power a propane lantern or heater. Consolidating and streamlining can be very beneficial, especially when you are away from home with limited space. Using an item such as the Camco Propane Distribution Post will give you added convenience while you are on your next RV trip. 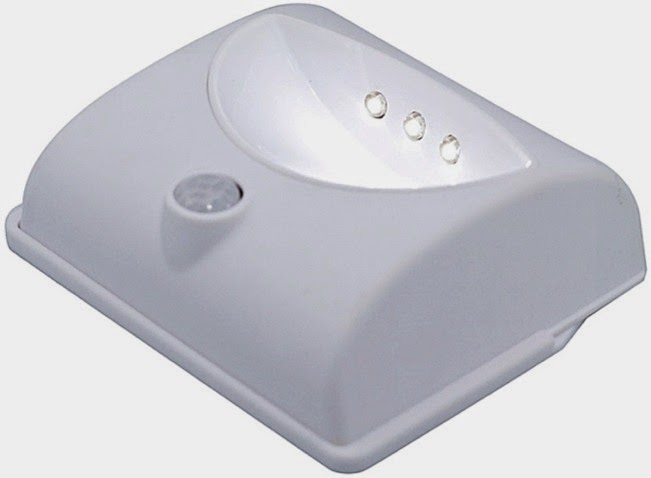 It has the ability to connect with up to three other pieces of equipment, such as grills, lanterns, heaters or stoves. By using three appliances at once off the same tank, it reduces the need to disconnect one item in order to hook up another. It will also help save time and effort since all three items can be supplied at the same time. This distribution post can also support your propane lantern up to 30" above the tank, creating greater clearance underneath. A propane lantern would also be able to sit at 15" if there is no need for a greater height. It also has two side connectors to support other devices. The side connectors include auto-shutoff, for greater safety. The entire assembly is lightweight and easy to transport to a specific location. All the parts for the propane distribution post can be stored in the carrying bag that comes included with the set. Having a storage bag will also make room to store any additional accessories needed for the post, so everything is all in one place. As the RV season heads into full swing, we wanted to let you know about some great new rv accessories that have just hit our inventory. These new products are sure to please; some will make RV travel easier, some make it more comfortable, and others make it even safer. So enjoy our hot list and be sure to check back often for new additions to our line-up. Go Power GP-PSK-120 120W Portable Folding Solar Kit: Charging your batteries couldn't be easier. This kit uses built in PWM solar controller to charge your batteries safely while you relax in the shade. The multiple charging connectors can accommodate multiple devices and the easy set up makes using this unit a breeze. The durable solar module is designed using tempered glass that can withstand extreme weather conditions such as hail and light debris. Aervoe 1141 LED Emergency Triangle: In the event of an emergency this 12V LED lit triangle will ensure you are visible at any time of day. 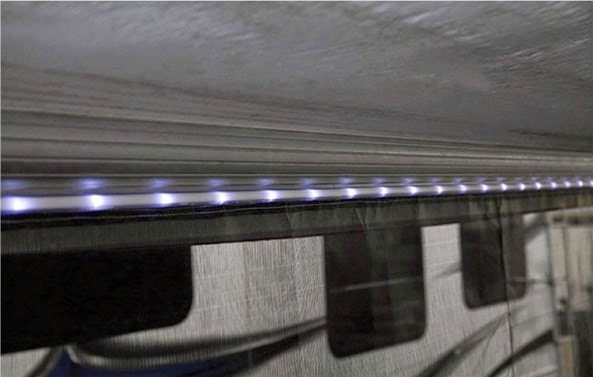 The triangle features LEDs that uses a steady on or flashing pattern visible up to 2/3 of a mile away. Camco 58035 Big Red Portable Campfire: This campfire unit is easy to set up and can be enjoyed even in areas with campfire restrictions. The ceramic logs provide a realistic look, without having to search for fresh forest logs and kindling. The flame height is fully adjustable and can produce a heat output of 65,000 BTUs. 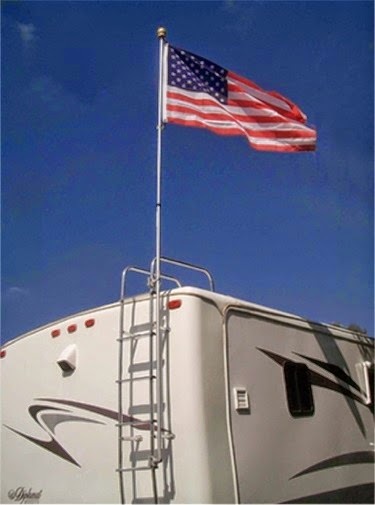 The unit is U.S. Forest Service Compliant and RV campground approved. Prime Products 13-6960 Signature Sling Rocker Bronze Weave: There is nothing like a rock outside during twilight to sooth the nerves and relax the mind after a long day out on the road. This rocker is durably constructed using hammer finished steel, capable of holding up to 250lbs. This Rocker quickly folds up for easy transport and the bronze weave can be cleaned on the go with a damp or dry rag. For more information on our new accessories, please contact the experts in RV upgrades. was the Tring Deluxe Cooking Grill with it's unique quick adjustment grill arm. I actually still have and use this grill, but it's big and difficult to store in most RV storage bays. And from the feedback we received over the years the price point was just to high and so was recently discontinued. A few others have come and gone with such issues as difficult to use grill adjustment systems, unstable stake, small grilling surface and high prices. 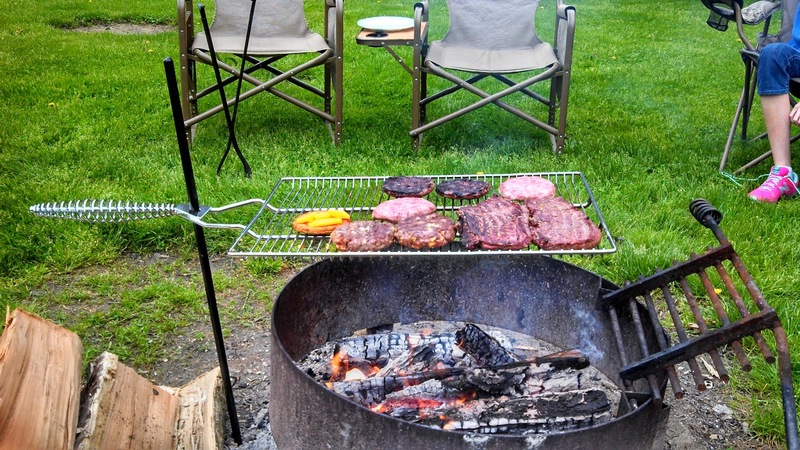 That was until the introduction of the Stake & Grill Campfire Rack. Stromberg Carlson must have done it's homework when they designed this simple to use over the fire grilling system. Many of the short comings with the other campfire grills are all but improvements in the Stake & Grill. The grilling surface measures a perfect 15” wide x 22” long and features turned up edges so food doesn't end up in the fire. The locking handle easily slides the grill up and down the stake to adjust the heat depending on the size of your fire. What I love is the heat resistant handle that keeps your hands from getting scorched when adjusting the grill height or pivoting it away from the fire for loading and unloading of food. The 36” long stake is the perfect length for securing the grill even in soft ground. And they round out the system with a heavy duty nylon bag to keep things neat and tidy. Let's review, hot dogs wont roll off the grill with the up turned edge, it's heavy duty enough to hold a nice big pot of coffee or steaks for the whole family. At under $50 we think the Stake & Grill is the answer to RV'ers requirements for cooking great tasting meals over the campfire. During an RV camping trip, the strength of the sun can play a large factor in the amount of time spent outside. Sometimes the amount of sunlight is more than your RV awning can handle. Too much heat can even drive you back inside in more extreme cases. Using an awning accessory such as the Valterra RV awning drape can assist in that area. It not only will increase the amount of shade, but also will create more privacy for the space underneath the awning. This can be an ideal benefit when you are in a more crowded area or if you wish to separate the spaces at the campsite. The more sunlight is blocked, the more the temperatures can be kept to a comfortable level. However, daytime is not the only time when the Valterra RV awning drape is useful. It also features solar powered LED rope lights that will come on once it gets dark. The drape is long enough to provide a sufficient amount of shade, up to 85%, while also having a 15′ width. The rope lights feature two settings for two different types of illumination. The drape comes with the means to properly secure it and mount the rope lights. This awning drape can also be used to help protect any outdoor furniture from sun damage. 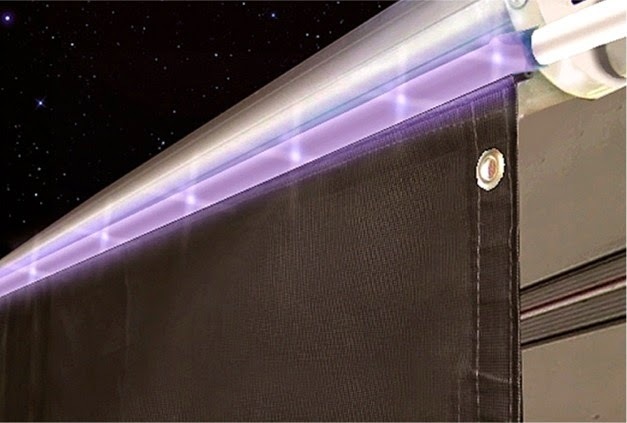 Because it comes with rope lights, the Valterra RV awning drape can save you from having to provide as much of your own illumination. 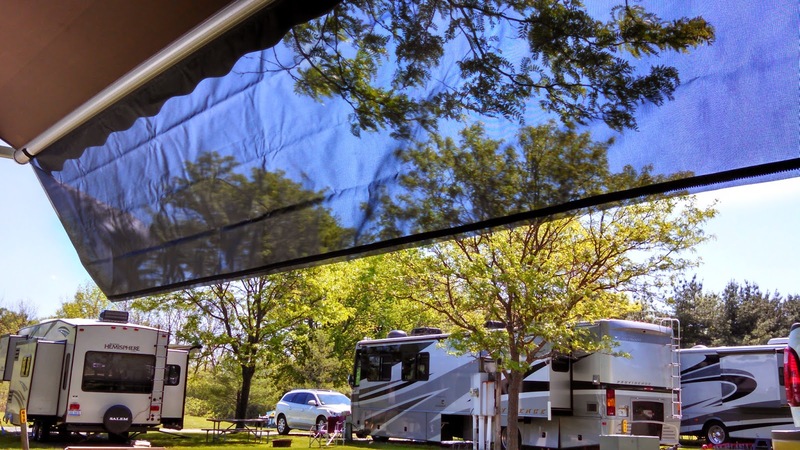 Having a drape for the awning will make your next RV trip a more enjoyable experience.